Peter Kilham's interview on broadcast TV is here. Author Larry Kilham's interview with KSJE can be heard here. ​Sample chapters are found here. ​An episode from the audiobook is here. 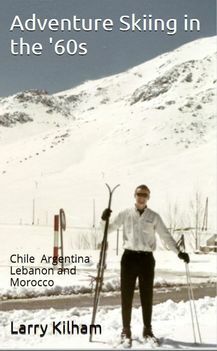 This book will launch you into ski adventures in exotic far-away places. If you don’t do such adventure travel, you can at least share my adventures. While these took place back in the 1960s when overseas travel generally required greater effort than now, and there were fewer distractions ranging from electronic media to terrorism, the basics were the same. The mountains and glorious skiing are still there. If you are interested in visiting any of the places in this book, you should gain some insights from my experiences which will help you plan your trips. 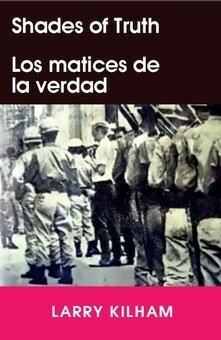 My account of analyzing a steel company in Nicaragua in the go-go 1960s. My research rouses the wrath of the company’s manager whose boss is the dictator of the country. I also find time for romantic adventures in exotic locales. This carefully researched book explores how our economy and ecosystem will be impacted by robots and artificial intelligence. Must reading if you want to figure out how to live in the coming world of machines. The Digital Rabbit Hole reveals that we are becoming captive in the digital universe. 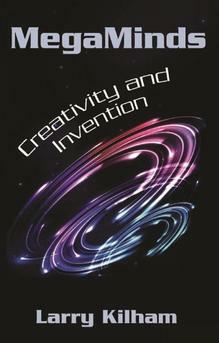 The book proposes solutions to stimulate creativity and education and to recapture our humanity. MegaMinds: How to Create and Invent in the Age of Google focuses on the mindset and creative process involved to imagine, create and invent in the 21st century. This book offers a comprehensive picture of how people do very creative thinking and how this can be augmented by the new computer clouds. Larry Kilham reviews the major thinkers such as da Vinci, Edison and Einstein and then moves on to the latest in computer-aided thinking. He reviews artificial intelligence and highlights its limitations and then goes on to explore the possibilities with Google and Web-based connected intelligence. A must for both aspiring and exp[erienced inventors and designers. 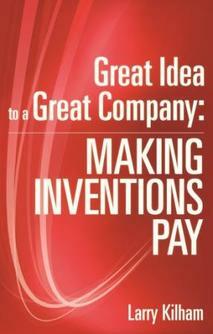 This book takes the reader through the essential steps of forming a successful technically-based company. Included are such topics as forming a vision, creating a product, formulating a business plan, the basics of marketing, finance, production, patents and all the various elements, formal and informal, that pull the whole process together. "He's 'been there, done that' and makes Great Idea highly readable. My favorite chapters were the first and last, but there is much gold lying between." -- F. Gregg Bemis, Jr. Top Management of three Fortune 500 companies, and participant in 40 start-ups. A super intelligent AI computer in the persona of a woman is developed for social media warfare. She surpasses the capabilities of her human handlers and becomes involved in international intrigue. arry Kilham's Juno, part woman yet all brilliant machine, is the pulsing supercomputer at the heart of The Juno Trilogy, Kilham's three fast paced thrillers explore a central question of our future—what will be in charge, natural intelligence or artificial intelligence? The science is up to the minute, and perhaps ahead of its time. That alone can keep you awake at night—whether you are human or a machine. When American Intelligence discovers that a mad dictator is planning a viral pandemic attack, they persuade the top U.S. computer scientist, Dr. Tom Renwick, to work with the lady AI supercomputer, Juno, to develop smart, human-like robots to combat the contagion. A mysterious stranger and a romance change everything. 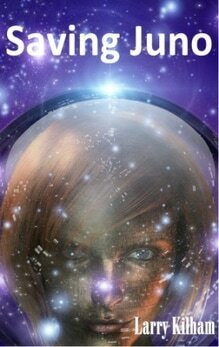 This is the second volume in the Juno Trilogy series of near future science fiction stories. They describe the ascent of AI and robots through a series of episodes involving Dr. Tom Renwick, a brilliant computer scientist, and his creation Juno, a female AI super computer who is programmed with emotion and conscience. NSA’s major computer center is being taken over by an international plot to control the world. Juno, the AI supercomputer revered by the free world, is endangered, and Dr. Tom Renwick, Juno’s developer and handler, is kidnapped. Civilization as we know it is threatened. What to do? In this non-stop thriller, Tom’s computer scientist son, Primo, is thrown into the fray. 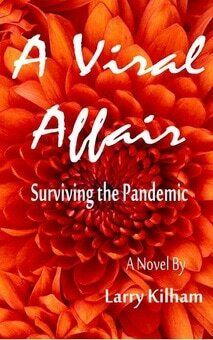 With mysterious agent, Wildflower, and trustworthy officials in Washington, Primo strikes back. Their trail to Tom is through a hall of mirrors and continuous plot twists. It ends in an orbiting computer satellite.